I FINISHED my latest No Prep Just Add Dice Games for Thanksgiving and Fall!! I am thrilled at how the bundle has turned out. It is SO easy for me to just print these games each season and that’s it! NO PREP…and my kids already know how to play the games…they are so excited about the new clip art and theme, they don’t even notice that they are the same games. Around 30 games in each pack…simple and more difficult versions of most games included. Can’t et much easier than print and play! Want to win my Thanksgiving Dice Game Pack? 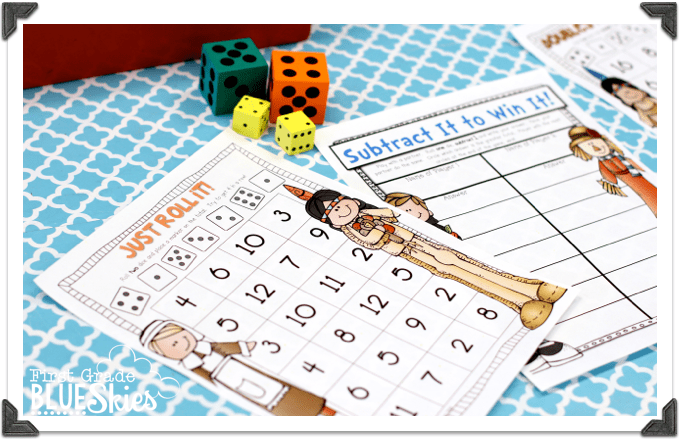 HallowTeen and Frighten Up Fifty Math Game Freebies! What kiddo doesn't love a dice game!!! These look awesome 🙂 fingers are so crossed!! I am constantly trying to come up with new games for math intervention time to keep my on level kids engaged. These are awesome!! I am in my first year teaching first grade and would love to use this pack to supplement our math program and incorporate in guided math stations! Who doesn't love dice games? I'd love to win. Pick me! Pick me! Love this idea! I always love things that make life easy for me 🙂 & KIDS love dice!! Your photos are amazing and so is this product. Kiddos just love dice games! 🙂 Thanks for the opportunity! These games look great and SO much fun!! I'm keeping my fingers crossed. 🙂 Thanks for the opportunity! I would love this for my guided math centre (coming soon to my classroom)! My kiddos LOVE dice games, and it makes it so easy for me to differentiate with my students. It is also great to put out "new" games that my students already know how to play. Happy Thanksgiving! Thank YOU for all that you do for teachers! My kids love dice games, and I love the easy prep. These will be fabulous to use during this month. I would love, love, love to win this pack and try it with my first graders! 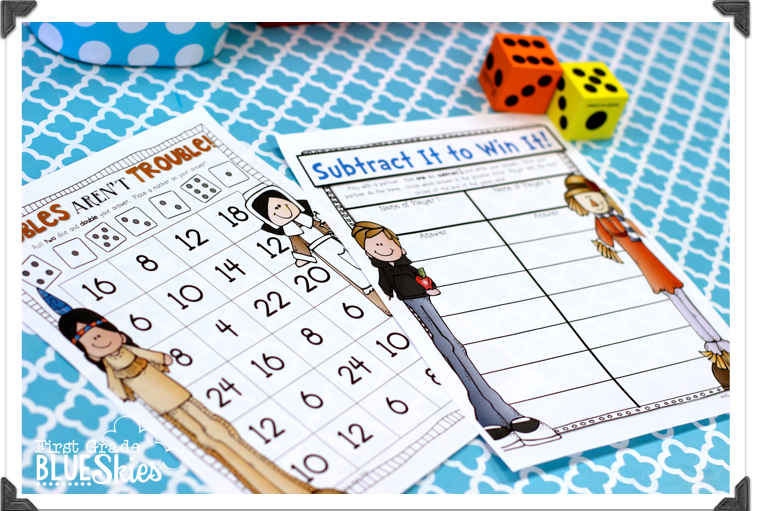 I love dice games and so do my kiddos! Would love to win a copy. This looks fantastic. Congrats! You win! 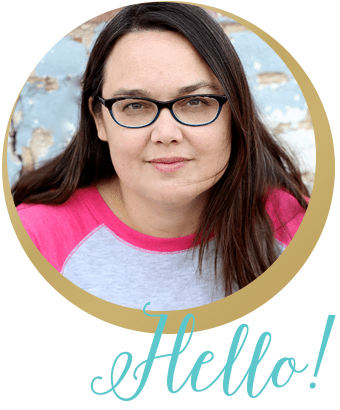 Emailing you now! 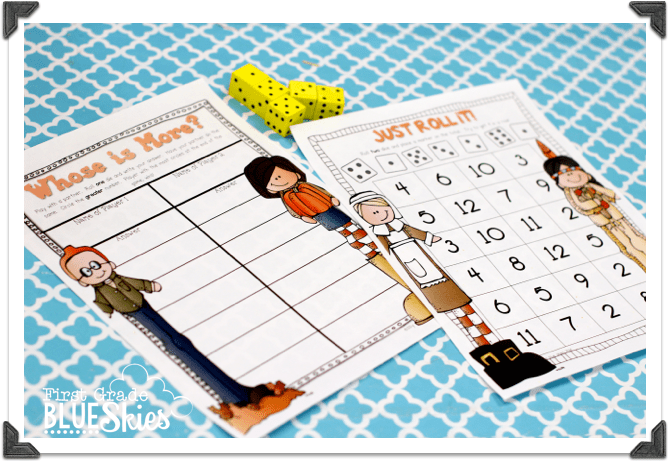 We really enjoyed the holiday version of these games last year and I am sure this year's batch of firsties would love these fall games too! 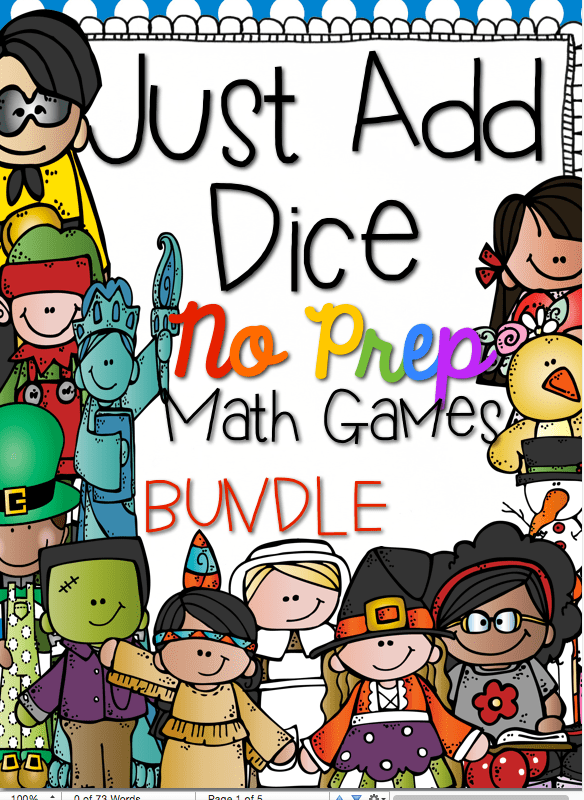 My class would enjoy these games so much and benefit from the math practice. I also think they are super cute! This would be so awesome for my kindergarten and 1st graders! Great work! This would be perfect for my kindergartener! Would love to win games!